As I’ve mentioned in a couple of posts recently, we’ve started thinking about what to do in the mini makeover we’re giving our bathroom. Unfortunately, this process takes a while for me and I’m testing out a variety of colours and options, and still giving it some thought. Hopefully this weekend we’ll come closer to finalising a scheme. 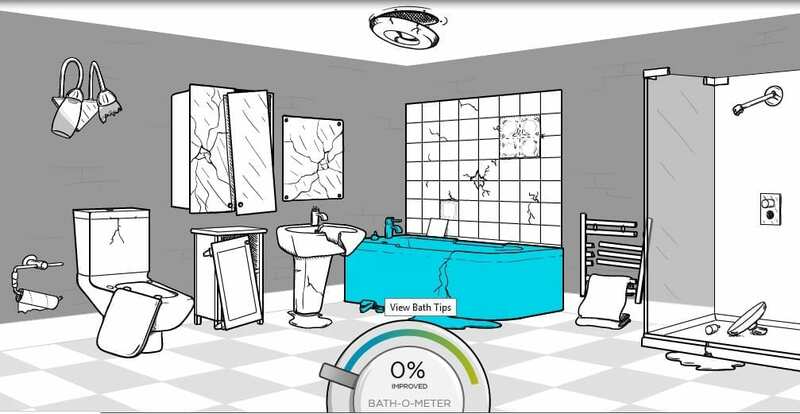 So when I saw this this online Ulitmate DIY App from Bathrooms.com, which offers an ideal bathroom renovation guide, I was intrigued to see what it could offer. Lots of guides like this can be full of great potential, with a really great message, but often fail to deliver what we really need so it seemed worth investigating. The Ultimate DIY guide was designed in response to research revealing that renovating your bathroom can add back double the value of the work you put in, making it one of the most cost effective enhancements to your property. Even simply adding features like mixer taps, glass screens and chrome towel heaters to your bathroom can add an extra 3% to your house’s value. Interesting statistics aren’t they? In 2012 the British public spent £7.54 billion on DIY, showing that they are undoubtedly growing bolder in their DIY projects with 93% of people saying that they have taken on jobs around the home themselves. We do most of our own DIY, so I can relate to this, can you? How confident are you with bathroom renovations though? I know we’ve employed a plumber before to do bathroom work such as fitting thermostatic radiator valves and installing the new bath, as it’s not something we felt comfortable tackling. So what about the guide? Once loaded, you get the screen as you see above, the following the ‘Click here to get Started’ button, you are taken to the following screen, which did make me smile! Let’s hope you don’t have a bathroom that looks like this! Anyway, on a more serious note, hovering your mouse over each of the items will highlight the product. Clicking then brings up a separate box, showing you maintenance, installation, replacement and buying recommendations. Each segment provides lots of guides and tips from across the internet including Wikihow. 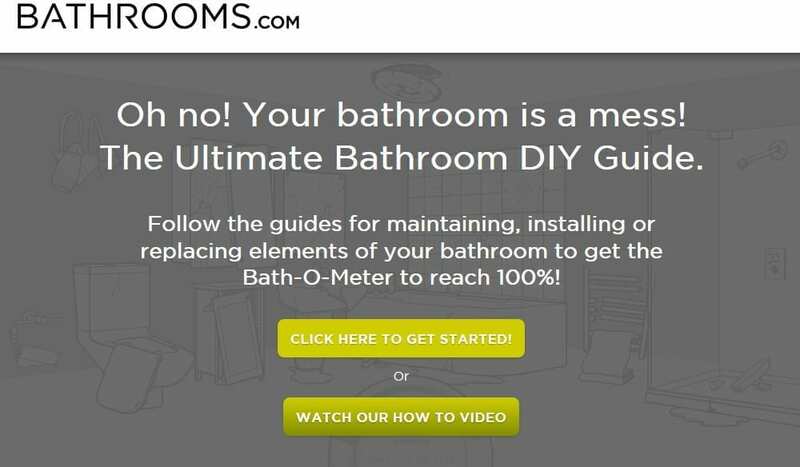 It appears Bathrooms.com have spent hours scouring the web so you don’t have to. They really have brought together all of the best guides and tips into one brilliantly presented hub. What a great idea. I am impressed with the way it all looks too. They’ve obviously spend a lot of time on the design and function of the guide; it’s very easy on the eye and incredibly simple and slick to navigate. I’m surprised I’ve never seen anything like it before. 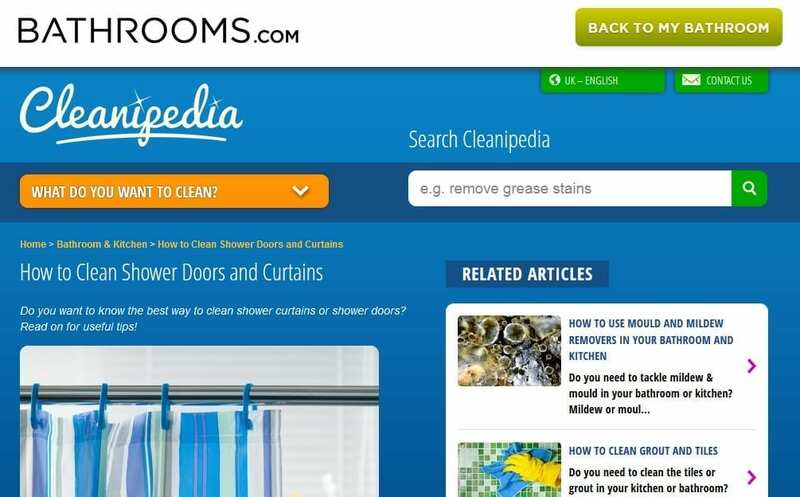 Here’s an example of a tips page, focusing on how to clean your bathroom and shower cubicle. As you can see, the site leads to nicely presented, useful information, and is easy to navigate back to the main app and guide. 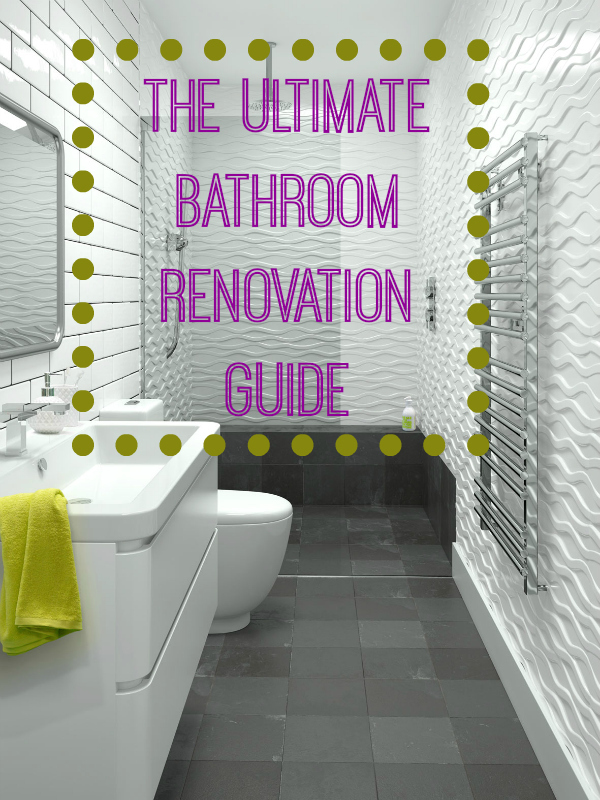 So, if you’re looking for great advice on maintenance and bathroom renovations, do check out this guide for some great tips. 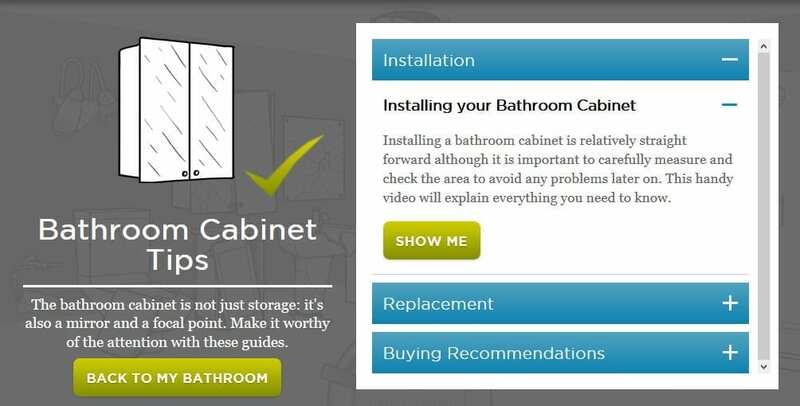 So many apps like this fail quite spectacularly on delivering on promises, but this one from Bathrooms.com really seems to do the job. Why not take a look around and see what you think? I’d love to hear your thoughts and whether you think it’s useful to you. Brought to you in association with Bathrooms.com.